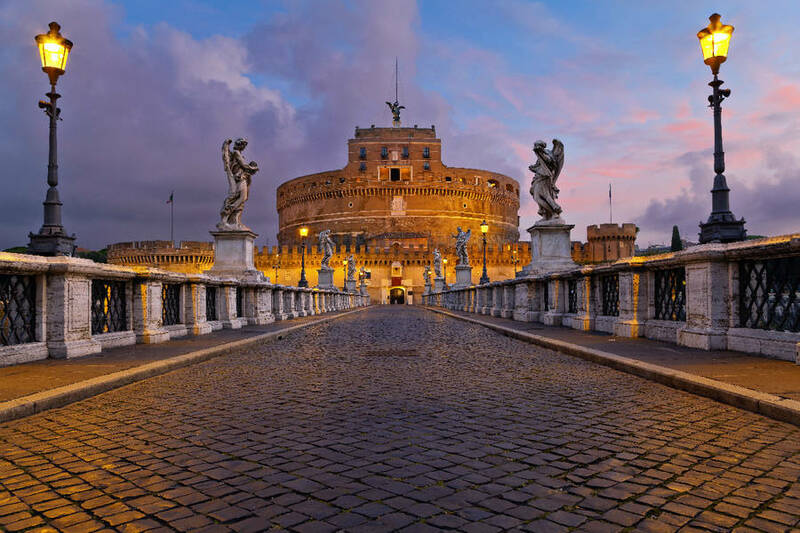 This walking tour takes you past some of the most famous sights and monuments in Rome, including the Colosseum, Forum, Campidoglio, Trevi Fountain, Spanish Steps, Pantheon, and Piazza Navona. Step into the Colosseum and imagine the excited crowds as they watched the battle between men and beasts, walk along the ancient sacred way following the triumphal route through Rome's monumental forum up to the Capitoline hill. Enjoy the layering of the different styles of architecture as you hear about Rome's history and see it unfold as it comes to life. Starting from its humblest beginnings on the Palatine to its later expressions of wealth and grandeur under Emperors and Popes. Spectacular achievements designed to convey power and authority continue to punctuate this walk which also includes the Pantheon, Piazza Navona, Spanish steps and Trevi fountain. A carefully selected itinerary will bring together many of the most influential masterpieces in the Vatican Museums as well as reveal details from behind the scenes of the Vatican State and its history. Hear about Michelangelo's ordeal painting the Sistine Chapel, then judge for yourself after admiring the works of his contemporary Raphael . Experience the awe and amazement intended by Saint Peter's Basilica, take a close look at Michelangelo's Pietà, hear stories of rivalry and nepotism, walk towards Bernini's "Baldacchino" towering over the main altar and look up at the dome: as you contemplate this incredible creation. This 1.5 mile walking tour includes some of the most favoured spots by European aristocrats on the Grand Tour of the 1800's, including the Spanish Steps, Via Margutta, Santa Maria del Popolo, and Galleria Borghese*. Once the meeting place for artists' models the Spanish steps was the haunt of foreign visitors doing the Grand Tour, writers and expatriates in search of artistic inspiration. Walk along the cobbled Via Margutta, still a street of artists and craftsmen to Piazza del Popolo. Step inside one of Rome's finest Renaissance churches: with works by Pinturicchio, Caravaggio and a chapel designed by Raphael. Admire the view from the Pincio across towards the Vatican and walk down Villa Borghese's elegant avenues under the shade of umbrella pines. Surrounded by recently restored gardens, a sumptuous villa awaits, evoking the luxury enjoyed here in the 17th century by one of the most wealthy and discerning connoisseurs of Baroque sculpture and painting: Cardinal Scipione Borghese. A dazzling collection. A journey through early Christian art and the rise of Christianity in Ancient Rome- starting from the Catacombs of Priscilla*, and ending at the Mausoleum of Emperor Constantine's daughter. Enter the subterranean labirynth of tunnels dug out of the volcanic rock in the 2nd century AD to where some of the earliest depictions of the Virgin and Child, the Magi and other Christian images adorn the most important tombs. Get an insight into the complexities of Church architecture at Saint Agnes and marvel at the richly decorated mausoleum of Santa Costanza with its lively mosaics of daily scenes.